(Posted for Keith Milligan) In 1976, I was working at a small family owned hardware store in Covington, LA. 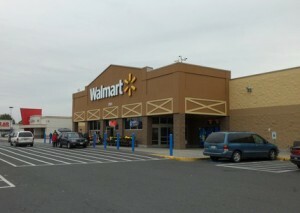 It was enough to support me and my new family until Wal-Mart came to town. My hrs. were cut in half which caused considerable financial hardship on me as the sole provider, at the time, of our young family. Needless to say, I don’t shop at Wal-Mart, with such a negative impact on my personal finances caused by their arrival into my hometown at the time.